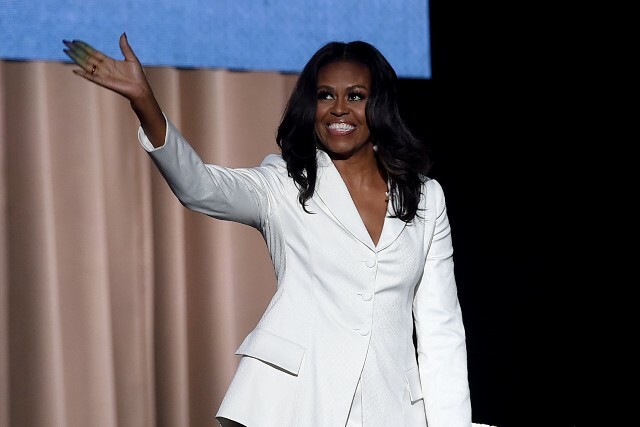 For eight years, first lady Michelle Obama made her presence known during her time in the White House. She was committed to supporting policies that benefitted Americans; she supported the nation through good times and bad. 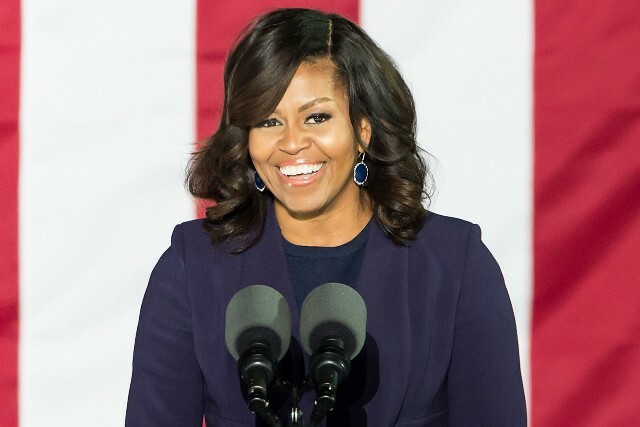 We hung on to her every word, cheered her on and felt emboldened by her support of us. 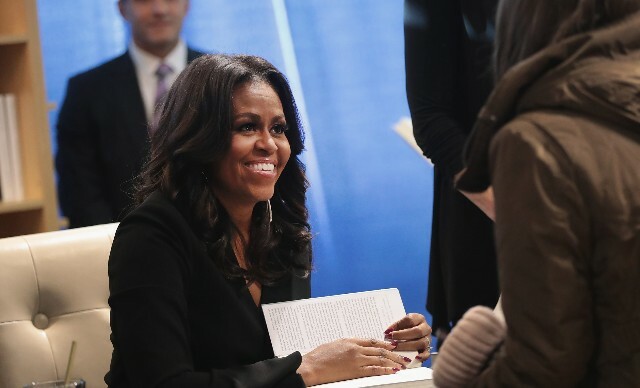 By 2016, it felt like we knew Obama on a personal level, but with the release of her new memoir, Becoming, there’s still plenty more we can learn from Obama and her life before she was the first Black first lady of the United States. In Becoming, Obama lays out her childhood on the South Side of Chicago in a predominantly Black neighborhood and her transition to the predominantly white Princeton campus. She tells readers about her first job as a lawyer, where she met her future husband (and the future president) all in one charming smile, and what life was like under the scrutinous eye of the Secret Service, political critics and the American public. Obama doesn’t hold back, staying as candid as possible and drawing readers deep into her inner world. 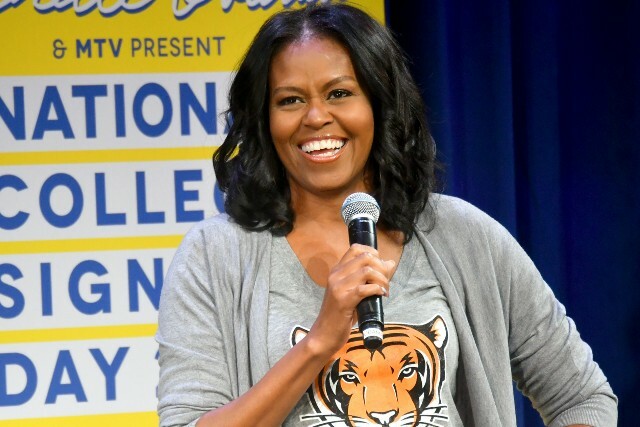 Here are just a few things we learned about Michelle (Robinson) Obama’s early years, before her time as first lady. Her beautifully written memoir hit bookshelves on Tuesday. This first sentence of Becoming serves a dual purpose. On a metaphorical level, it could describe the sound of a struggling, working-class neighborhood in Chicago at a time when it was facing great demographic change. 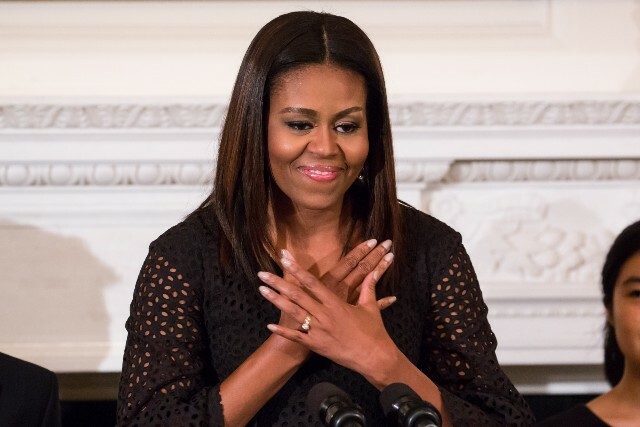 But it is also very literal: Michelle Obama lived above her great-aunt Terry, who taught piano to some unfortunate-fingered youth. Obama herself also learned to play. Image: Mike Coppola/Getty Images for MTV. 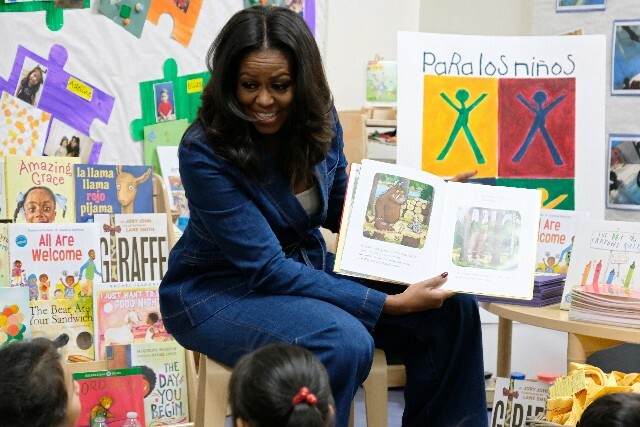 Knowing the former first lady as many of us do, it’s no surprise that she skipped a grade. 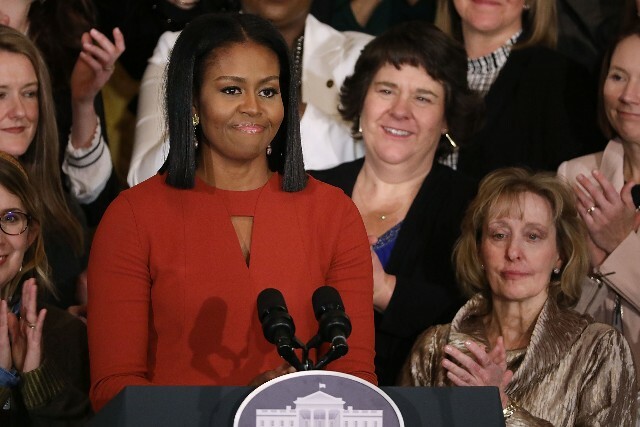 Marian Robinson, Obama’s mother, noticed her daughter wasn’t being challenged in her second-grade class and her teacher wasn’t able to control the students, so Robinson went to the school and got her daughter and several other high-performing students into a third-grade class with a more capable teacher. Being a fierce woman who advocates for her children clearly runs in the family. Image: Cheriss May/NurPhoto via Getty Images. 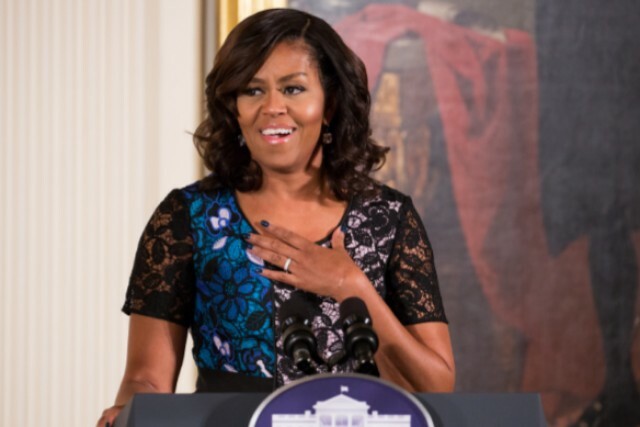 What did come as surprise was the fact that Michelle Obama got into a fight, which she started, with a girl named DeeDee. If you can’t picture Obama tussling on the ground at the local park, she describes it as “fists flailing and legs thrashing.” DeeDee’s offense? Mostly just snarky comments, but Obama says her moment of lunging for the girl was when DeeDee had gone just one comment too far. Neither girl was hurt, but DeeDee watched her mouth after that, Obama said. Her husband’s political career wasn’t the first time Obama was surrounded by politicians and bodyguards. In high school, Rev. Jesse Jackson’s daughter, Santita, attended her school and they became friends. This was even before Jackson ran for president in 1984. 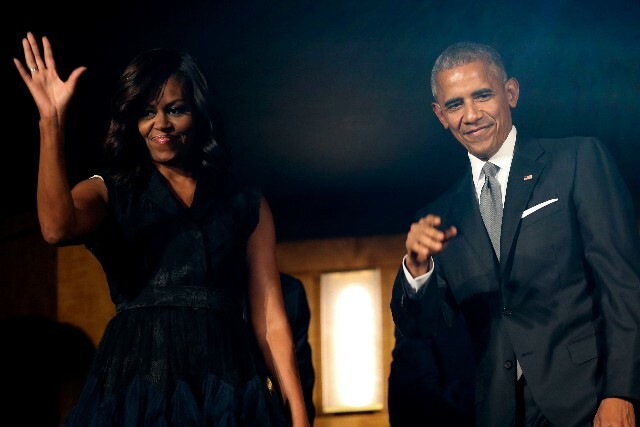 As friends, Obama and Santita Jackson would attend political rallies and meetings, usually against their will, while trying to hitch rides to the mall instead. This was Obama’s first inclination that maybe the political life wasn’t for her. Much has been made of President Barack Obama having indulged in marijuana use, but this was my first time hearing that Michelle had, too. She writes about the boyfriend she had in her senior year, David, who was two years older and in college. He was, she says, easygoing and adult, and he took her on dates to grown-up places like Red Lobster and the movies. And they even “fooled around and smoked pot in his car.” But poor David got dumped when it was time for Michelle to head to college. He and her father drove her to school, and she didn’t even let him down easy — she let him go home with her dad and then told him, over the phone, that she was going to be too busy to keep it going. Harsh. Upon graduation from Harvard Law School, Obama worked at Chicago law firm Sidley Austin. She was a first-year lawyer in the marketing and intellectual property group, making sure that TV and radio advertisements didn’t violate DCC standards. Soon she was “awarded the honor of looking after the legal concerns of Barney the Dinosaur,” she writes. Barney was lucky to have her. 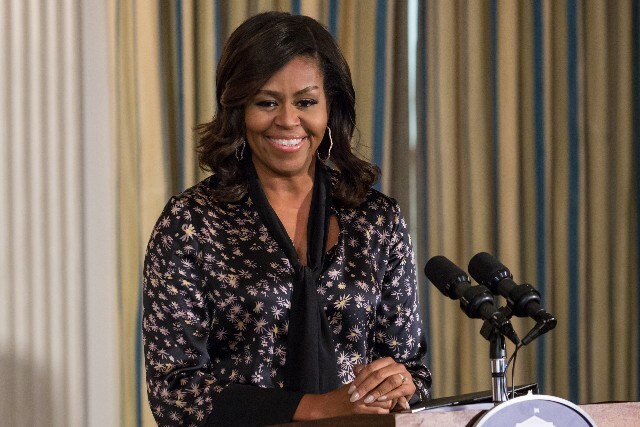 Image: Marla Aufmuth/Getty Images for Pennsylvania Conference for Women. Like many women, Michelle didn’t mind going to basketball games if it meant she could stare at the eye candy. She fell into this practice because her brother, Craig, was a basketball star throughout his teen and college years. 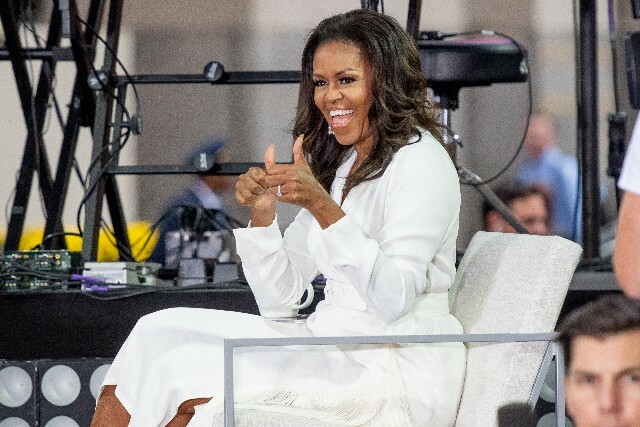 So, when she saw Barack play at a company event, even in his flip-flops, she could no longer deny her burgeoning feelings. 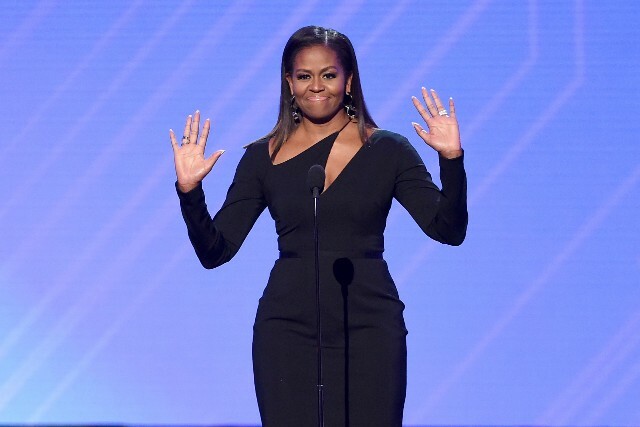 “I stood there pretending to listen to what somebody’s perfectly nice wife was saying to me, but my eyes stayed fixed on Barack.” Whew! Michelle has said in interviews that she wrote Becoming to show that even loss was a part of her journey, and few losses hit her harder than Suzanne, the first of her best college friends. Suzanne, who was just 26 when she died, had an aggressive form of lymphoma that caught the lively, adventurous young woman off guard. Michelle writes sadly about not being able to go to Maryland in Suzanne’s final days to say goodbye. Just a year later, Michelle’s dad, Fraser Robinson, died of a heart attack after a decades-long struggle with multiple sclerosis. However, he spent all those years going to work every single shift, giving everything for his two children. Michelle speaks of knowing he was saying goodbye one night before heading home and learning he’d died before morning. One corner of what she often refers to as the Robinson family square was gone. 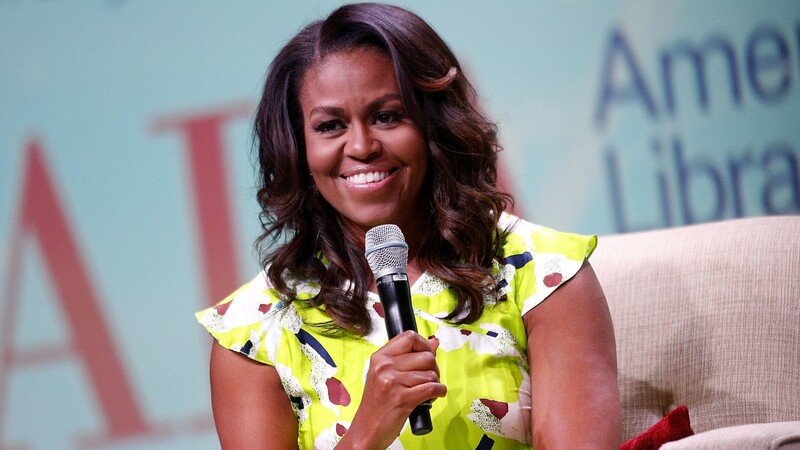 Michelle Obama is nothing if not a fighter and someone who perseveres. Even when she fails, she picks herself back up and tries again. Michelle says she only failed two tests in her life, a color test in kindergarten and the bar exam. Both times, she insisted on doing it again and passed, just like she knew she would. When Barack was taking his own bar exam, he was “annoyingly” confident he would pass. 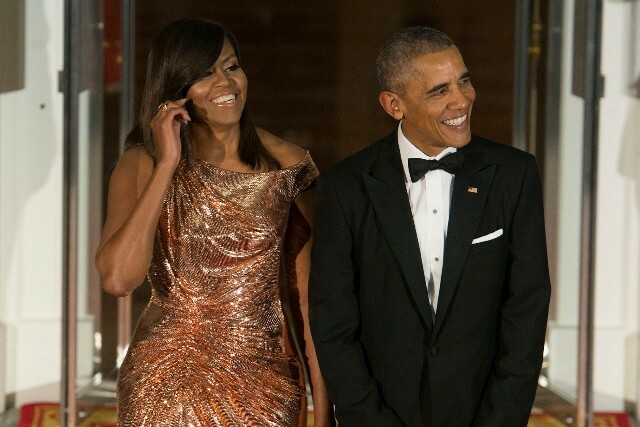 So, he took Michelle to their favorite restaurant for dinner to celebrate. He then goaded her into their age-old argument about marriage: he thought it was a waste of time, she was ready to jump the broom and not waste her time. After baiting her into the argument, Barack had dessert brought out, and on the tray was a dark velvet box. He proposed, the restaurant applauded and she said yes. They were married on Oct. 3, 1992. 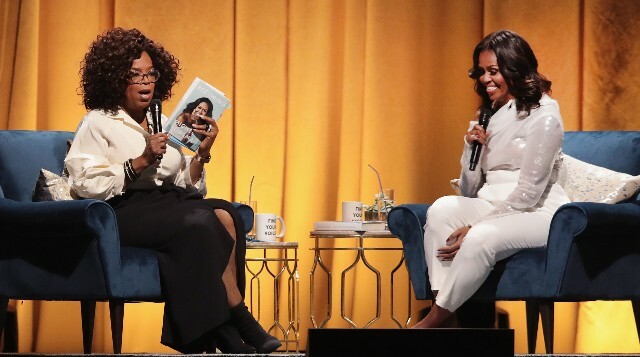 In one of the rawest and most open parts of the book, Michelle discusses her frustrations with not being able to get pregnant when she and Barack first wanted to. The troubles initially seemed to be because he, a state senator, was away in Springfield, Illinois, for most of the week. Then she suffered a miscarriage. Michelle speaks about her feelings of failure and inadequacy and the realization that because women never talk about miscarriage openly, we aren’t aware of how common it is. She writes that many of her friends also had miscarriages. “It didn’t take away the pain, but in unburying their own struggles, they steadied me during mine,” she says. Image: Keith Bedford/The Boston Globe via Getty Images. The Obamas then saw a fertility specialist, who said that nothing was really wrong with either of them. They decided to try in vitro after an egg stimulation drug didn’t deliver results. Michelle spent several weeks injecting herself with the necessary needle because Barack was away for most of the week in Springfield. “It was maybe then that I felt a first flicker of resentment involving politics and Barack’s unshakable commitment to the work,” she writes. 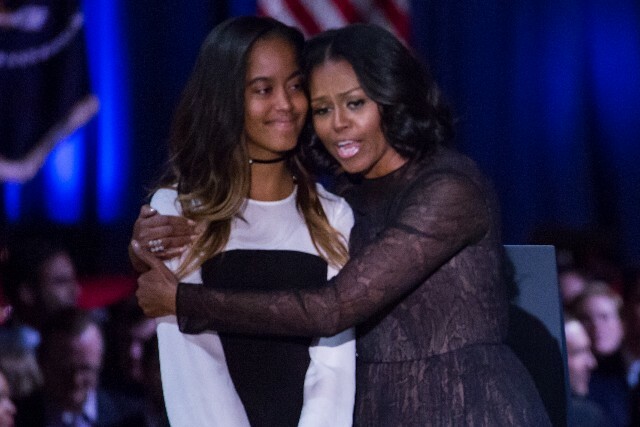 Eventually, both Malia and Sasha were born and the Obama family became a square, just like Michelle’s family when she was growing up. 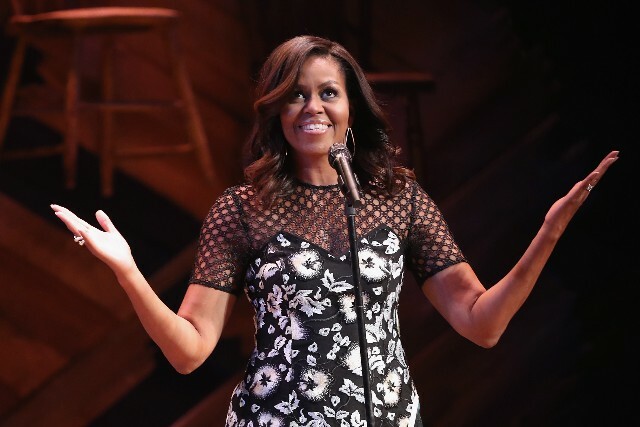 Even before the campaign trail, which pulled Barack away from his family for months at a time, Michelle and her husband had long stretches where they weren’t even in the same state. Back when they’d started dating, Barack was a full-time law student in Massachusetts, only in Chicago for the summer. 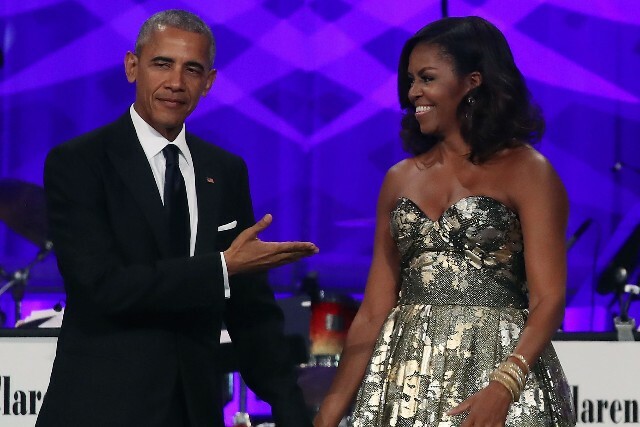 The two had to navigate their long-distance relationship around both Michelle’s job and Barack’s tenure as the editor of the Harvard Law Review, a demanding position. Then, after their wedding, Barack flew to Indonesia because he’d blown his book deadline and he needed to make up for it and get a new publisher. He spent five weeks in Bali writing the book that became Dreams From My Father. After that, he was elected Illinois state senator in 1996, then U.S. senator in 2004, both offices taking him away from Michelle more days out of the week than they were together. 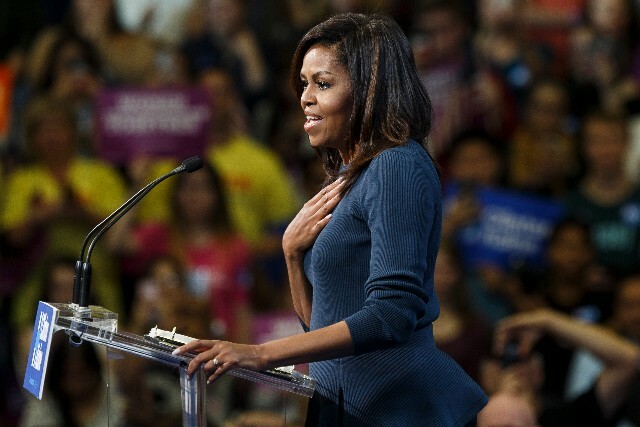 In the end, her husband’s drive and connection with the American people swayed her into truly believing there was a possibility he could win. 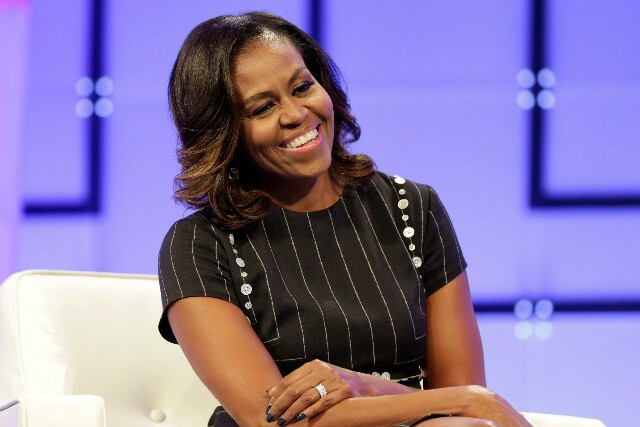 On Nov. 4, 2008, she stood with him on stage at Grant Park in Chicago and began her life as first lady.